On the Radar: Jailing Kids for Cash? If that headline caught your attention, well, you're not alone. This story pushes all the outrage buttons. It certainly pushed ours. Here are the basics: Two Pennsylvania judges today pleaded guilty to accepting more than $2-million in kickbacks to send youth offenders to privately run detention centers. Now officials are looking into whether thousands of sentences should be overturned. The scandal is widening with the FBI now involved. The story is full of stunning details. As prosecutors describe it, the scam these judges were operating was like a conveyor belt – into the courtroom, and whoosh.. off to the detention centers. Ka-ching. We're Keeping Them Honest... Friday on 360°. 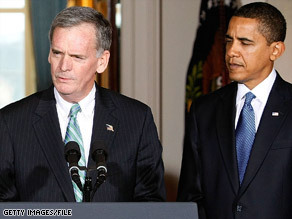 Sen. Judd Gregg says it was a 'mistake' to accept President Obama's nomination. Pres. Obama has a new cabinet problem on his hands. Sen. Judd Gregg has withdrawn his nomination as Commerce Secretary citing "irresolvable conflicts" over the stimulus bill and the 2010 census. Gregg is the second person to pull out of consideration for the job. The first was New Mexico Governor Bill Richardson, who withdrew in last month citing the distraction of a federal investigation into whether he played an improper role in getting state business to a company that gave cash to his political action committees. And, this is the third Cabinet nominee overall to step aside when you count last week's decision by Health and Human Services Secretary-designate Tom Daschle to quit over tax issues. Tonight we'll have the raw politics of Gregg's decision. Pres. Obama touted the pick as working across party lines, since Gregg is a Republican. But is there a "GOP war" against Obama, as one columnist mentioned today? We'll dig into that tonight on AC360°. Plus, Angelina Jolie and the octuplets' mom. The unlikely twins. The Hollywood star is speaking out about their eerie connection. We'll have those stories and more startng at 10pm ET. 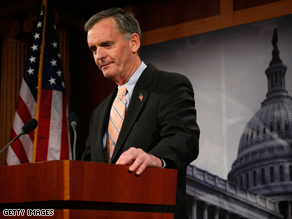 Senator Judd Gregg, (R) New Hampshire, withdrew his nomination as Commerce Secretary today. President Obama reacted to the news in an interview with the State Journal-Register of Springfield, Illinois. It comes as something of a surprise, because the truth, you know, Mr. Gregg approached us with interest and seemed enthusiastic. But ultimately, I think, we’re going to just keep on making efforts to build the kind of bipartisan consensus around important issues that I think the American people are looking for. 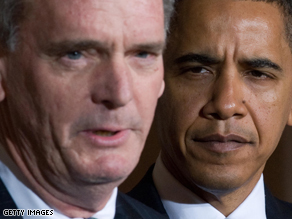 Judd Gregg's withdrawal – Why? A Democratic source tells CNN’s John King that Republican Sen. Judd Gregg campaigned for the job of Commerce Secretary - and had asked Senate Democratic Leader Harry Reid to approach President Obama about it. Also that Gregg sat with the president, knew his policies and “erratically dropped out without warning." A Democratic source confirms the same to CNN’s Jessica Yellin—saying that Senator Reid approached White House Chief of Staff Rahm Emanuel about Gregg for Commerce Secretary. CNN’s Candy Crowley reports a Republican source close to Gregg says his disagreement on funding for the "census tipped things," adding to increasing "worries about his seat at the table"- that Gregg might be marginalized “basically if on any issue important to Democratic constituencies - they are on one side and Judd is on the other - he is muted." A second GOP source says, "He didn't want to be a powerless GOP token and that's where this was headed." From CNN’s Ed Henry: A Republican aide familiar with the decision adds that Gregg has been privately consulting with Republican leaders about this move for the “past couple of days” before making final decision today. From Gloria Borger: A source close to the process says that removing the census from Commerce and having it “run” out of the White House was taken as a slap in the face by Gregg. “It was like saying they don’t trust you” with such a political issue. And guess what—they didn’t. White House Statement: "From the first days of the transition the Census has been a priority for the President, and a process he wanted to reevaluate. There is historic precedent for the director of the Census, who works for the Commerce Secretary and the President, to work closely with White House senior management - given the number of decisions that will have to be put before the President. We plan to return to that model in this administration." Following GOP Sen. Judd Gregg out of his presser, I asked him about CNN reporting that the White House was not happy that he didn’t help the President by voting on the economic stimulus bill. I asked, well why didn’t you? Then the elevator doors closed…. 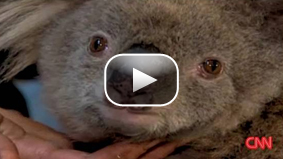 Sam, the koala, gets a visit from the firefighter that found her in a burnt Victorian forest. The losses from Australia’s worst-ever wildfires are mounting: the official human death toll is now expected to climb as high as 300. An even grimmer picture is emerging for wildlife. Rescue officials say millions of animals likely died in the inferno that scorched the state of Victoria. Hundreds of burned, stressed and dehydrated animals – from kangaroos to wombats to wallabies and beyond - are being cared for at shelters across the region. Sam, a koala, is one of the lucky ones. She was found by a fire patrol on Sunday and catapulted to fame by a heart-rending photograph showing a firefighter pouring water into her mouth. She’s getting treatment for her injuries at the Mountain Ash Wildlife Shelter, where she’s found more than human compassion. According to the Associated Press, the furry female has caught the eye of a male koala, nicknamed Bob. The two are reportedly inseparable. Sam has also been reunited with her rescuer. Click on Sam’s picture above to watch a video of their reunion. Survivors like Sam can’t describe the trauma they’ve suffered but at least they are getting help. You can learn about efforts to care for the injured animals at Wildlife Victoria’s website. Today, firefighters in Australia were still battling about 35 fires. That’s actually good news, since just days ago more than 400 wildfires were burning out of control. The devastation is sobering. The question remains: Who and where are the criminals believed responsible for setting some of the fires? 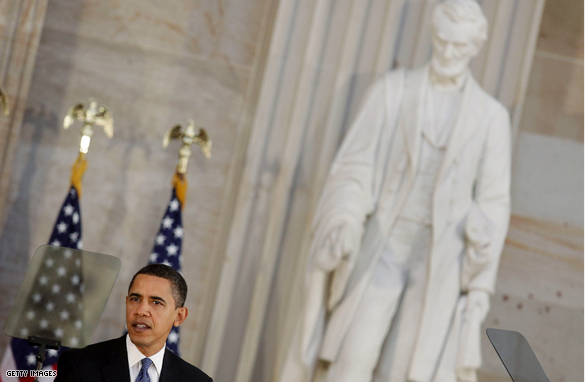 U.S. President Barack Obama speaks during a ceremony to celebrate the 200th anniversary of the birth of Abraham Lincoln on February 12, 2009. 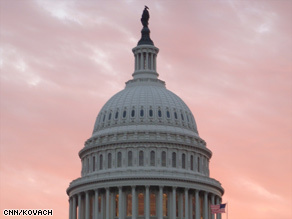 Editor's Note: This information was released from Congressman George Miller, Chairman of the House Education and Labor Committee. A $53.6 billon state stabilization fund to help states prevent cutbacks, layoffs, create jobs by modernizing schools and colleges and meet other needs. $5 billion of this fund will be used as bonus grants to states that make progress on key education reforms, like getting better teachers in high-need classrooms and improving the quality of assessments. $13 billion in Title I – which goes to educate low-income students – for school districts and $12.2 billion in IDEA funding to help districts educate students with disabilities. $2.1 billion for Head Start and Early Head Start, to expand critical early education opportunities for an additional 124,000 low-income infants and children. According to estimates, this will also create 50,000 new early education jobs. $2 billion for Child Care Development Block Grants to provide child care services to an additional 300,000 low-income children while their parents are at work. $500 increase in the Pell Grant scholarship for the next school year – a boost that will benefit up to seven million students. In FY 2006, almost 75 percent of Pell Grant recipients had family incomes of $30,000 or below. Creates a new $2,500 tuition tax credit to help an additional four million students families pay for college. Almost $4 billion for job training programs to help prepare laid-off, adult, and younger workers prepare for jobs in emerging industries including green jobs. $500 million to help prepare Americans with disabilities for employment. $120 to provide community service jobs to an additional 24,000 low-income older Americans. $500 million to help states place unemployed workers in open jobs. Workers who recently lost their job will be eligible to receive a 65 percent subsidy towards their COBRA premium for up to nine months – helping both recently laid-off workers and older workers and tenured workers stay covered by expanding access to affordable health care coverage.